Majority of dancehall fans would agree with Chronixx request for Mavado and Popcaan to make peace and work together to push the genre globally. During his lengthy Instagram Live session last weekend where he spoke with his fans about his new album Chronology, he spoke about the infamous Mavado and Popcaan beef. Chronixx think that if these two dancehall heavy weights unite they can take dancehall music to the next level and I agree with that assessment and so does the vast majority of dancehall fans. Mavado and Popcaan beef started last summer and dominated dancehall for the rest of 2016 into early 2017. 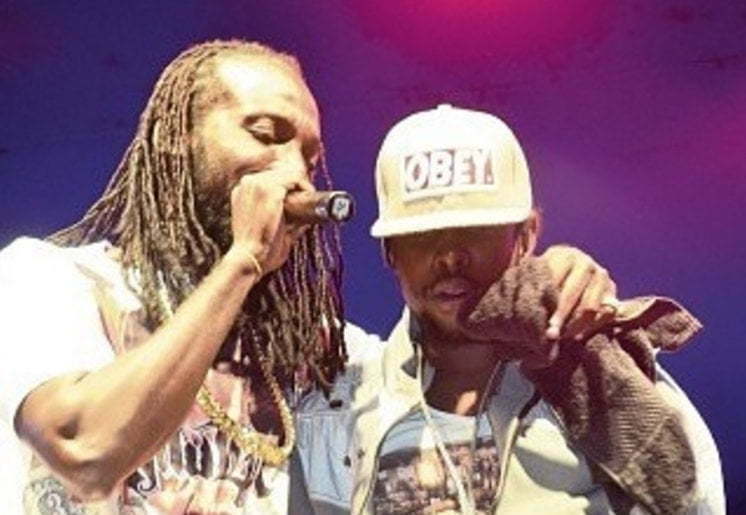 Mavado was named the victor, but Popcaan would soon find himself in another beef with Vado’s close friend Alkaline. Posted on July 11, 2017 by Azlyrics. This entry was posted in Lyrics and tagged Africa, Instagram Live. Bookmark the permalink.